In Lincoln County, if you are filing a petition for dissolution of marriage with children involved or a petition for custody/parenting time, you must complete a parenting class before the judgment will become final. Children in Between Online is the approved provider in Lincoln County. Our class is nationally recognized by some of the top experts in the field and has documented studies showing the positive effect taking the class has on parents and children. 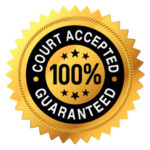 Take the course conveniently online and get an instant printable certificate for your court case.